It is super important for all of us to ensure that we are drinking our eight glasses of water per day. Although this seems like so much, it’s important to understand why we need so much water each day, and that there are definitely great benefits to drinking water that every one should know about, and take into consideration! Water works wonders, not only does it increase fat burning and reduce your cravings, but it also gives you more energy, and healthier skin! It’s almost as if water is the only medicine we’ll ever need, right? The question is how does water do all this! It has been proven that the less water you drink, the faster fat deposits will increase. What this means is that water is ultimately suppressing your appetite in a natural manner while helping your body metabolize stored fat. It’s also a great replacement for snacking on those chips that your girlfriends just brought outside while you soak up the sun! Water is wonderful for our energy system in so many ways. A mild dehydration can sap all of your energy and make you feel extremely tired. The minute you start thinking that you’re thirsty; you’re already sort of dehydrated because the thirst will only lead your muscles to weaken, and you may become dizzy and fatigued. Lastly, water is a great foundation! How so? It is the best way for your skin to remain hydrated and healthy! 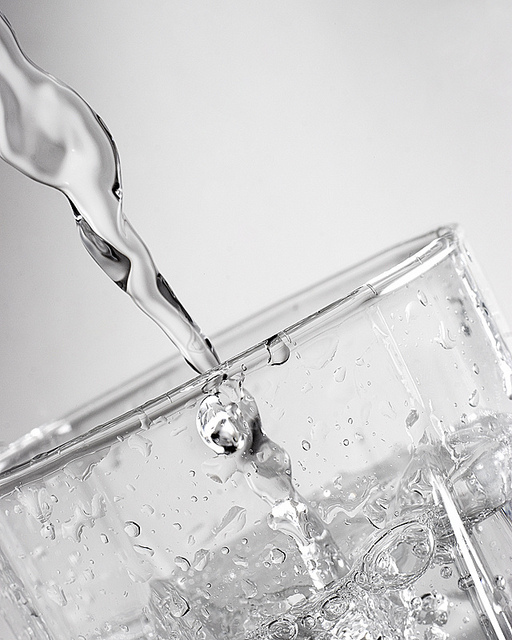 Drinking water helps to clear up skin as well as give your skin a glow that you will notice! Although this doesn’t happen overnight, so much as we’d love it to, it’s important to keep drinking the water in order for your skin to show some results. There are only so many different ways for you to take care of yourself! Let the first step be right here, right now – go to your kitchen and get a glass water, even if it’s your first or 10th of the day. You know you want to!